Empire is a great combination of stoutness, balance, and quality for a Ten X son. 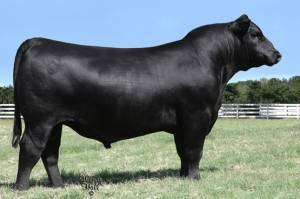 He comes from the cow family that had sale topping females at both Vintage and Express in the fall of 2014. 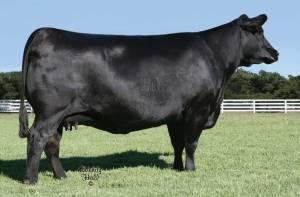 His dam, 4212, is the dam of VAR Blackcap 9319 who had 12 daughters in the 2013 and 2014 Vintage sales average over $43,000. 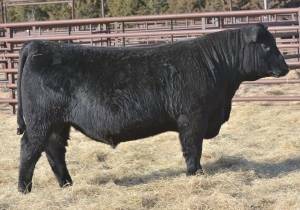 And 4212 is the granddam of the $175,000 EXAR hfr that sold to Deer Valley. 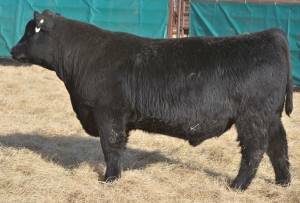 One of the strongest cow families in the breed and Empire will enhance your EPD profile!